By Jove! A splendid array of vessels have arrived at port. Will you use your wealth to procure a craft—or save your shillings to reinforce your ramparts? 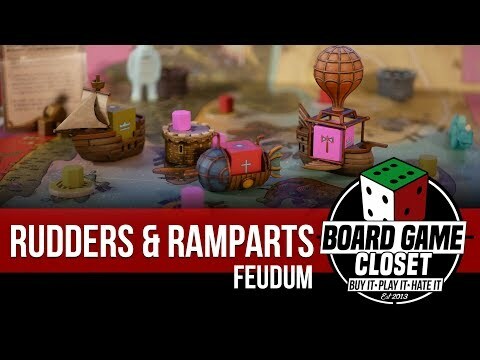 The Rudders & Ramparts expansion features artisan-edition vessels and castles that may be used purely for decoration—or to play a military variant of the game Feudum! Upon acquiring a regular vessel or feudum, players may pay an additional shilling to upgrade to a deluxe vessel or castle feudum. 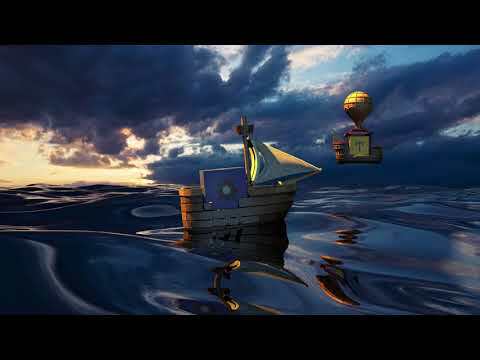 Players earn +1 attack for a deluxe vessel and +1 defense for a castle feudum. At the dawn of each epoch, players must pay 1 shilling to maintain each castle or deluxe vessel in their possession—or lose their advantage! These minor rule additions add a boatload of interesting choices! Players with castles forego the need to reinforce their feudums with subjects because a gold-clad "royal guard" accompanies each castle! Conversely, deluxe vessels make targets of any opponent in a nearby port. But beware! The expensive upkeep may slowly impoverish a player. Note: due to technical restricts Tabletopia Team had to change some 3D models. So they may look and work different from real game.